Winter is here and there's no time like the present to learn how to build a backyard ice skating rink. You'll be able to use it for romantic nights with your significant other, and your kids will be able to use it to practice for hockey in their free time. You can even get all their friends together for back yard games. Having your own backyard ice skating rink is an awesome way to stay in shape while having an awesome social outlet for the whole family. In fact, 65% of young sports participants say that they play sports so they can spend time with friends. Sideboards are used as the framework for your rink. While wood was once a common material for DIY ice rinks, plastic sideboards are actually a much more reliable (and reusable!) option. Our back yard ice rink kits come with pre-measured sideboards that will easily allow you to build the home ice rink of your dreams. Bracing is the backbone of your rink. Metal brackets are used to fix the framework in place and then anchored to the frozen ground. They allow the sideboards to stay in place when you fill your rink with water, keeping the shape and integrity of your rink intact. Liners let you fill your rink with water. Without a liner, you would just be dumping water into the ground. 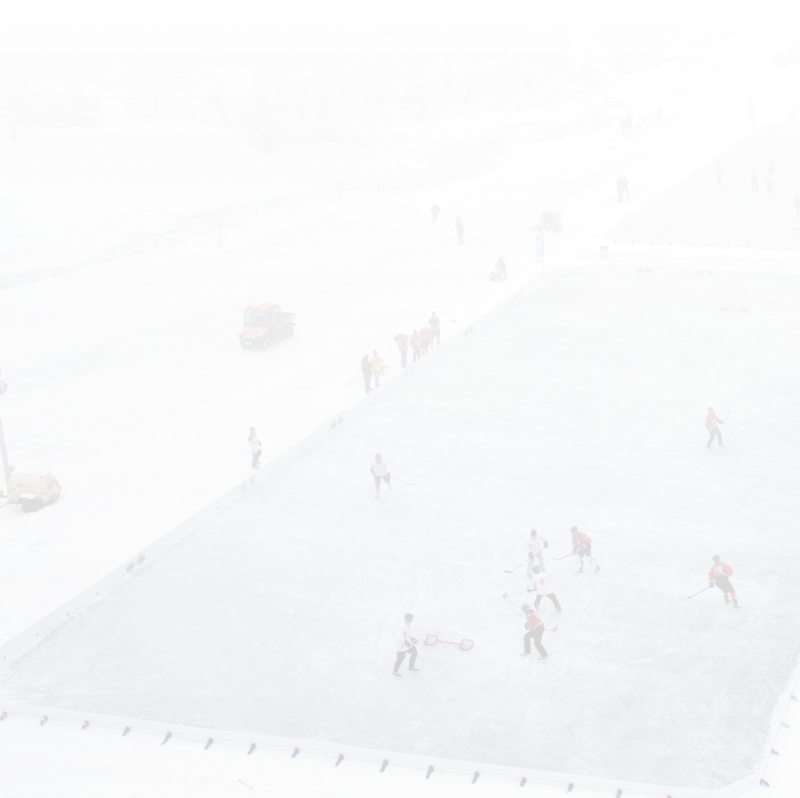 There are specialty backyard ice rink liners developed specifically for homemade rinks. It is essential that these liners are installed correctly, otherwise the water will drain away before it can properly freeze into place. Water is the magic ingredient that turns an odd plastic and metal structure into a magical place for friends and family alike. Fill it up with your hose or hire a water truck, and let Mother Nature do the rest. Soon, you'll be skating in no time. Friends are the most important part of this project. Invite all of your children's friends and parents for a fun frozen homemade hockey tournament to further forge team bonds. And, of course, you can ask them to help you construct your new ice rink in the first place. Building a ice rink in your back yard is a great way to stay active and social in the cold winter months ahead. Get started with a Nice Rink kit today and be ready for a wild winter.